Is SEO Even Worth A Go? SEO is one of the most commonly used marketing techniques there is, but is it all it’s cracked up to be? The simple answer is yes, if it’s done right SEO is one of the most effective marketing techniques you can use. If done wrong is it is one of the most damaging marketing techniques you can use. It’s definitely one of the most expensive as well. But the money you spend will be more than worth it if you’re doing it right. So, to show you why SEO is definitely worth a go, we’ve come up with some of the reasons why it’s so great, and what you can do to make sure it doesn’t go wrong. Getting it right is the first step in a long process. SEO isn’t one of these quick fix marketing techniques you might think it is. It takes a little more time to see actual results. One of the best ways of getting it right is by using a specialist company, such as CandidSky to do the job for you. SEO is just as hard to understand as it is to get results from. It’s complex, and it is often too much for some people to grasp. If you use a professional you know the job is going to get done right, and you know you’re going to see some worthwhile results. If you’re looking to save money, you could always do your research and see if you can get to grips with it. The benefits we’re about to discuss will far outweigh the risks we’re also going to mention. The biggest benefit is obviously going to be the results you’re going to see. 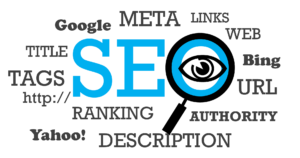 SEO’s main goal is to improve your rankings within a search engine. The higher up you appear for a search result, theoretically the more sales you’re going to get from it. There are many techniques that will get you higher up, one of the main being link building. It helps to build a natural backlink profile for search engine bots to crawl. The more links they see going to your website, or coming from your website, the better they’re going to perceive you to be. But there are good and bad links that you can create. Too many bad links, for example those that are spammy and paid for, the more chance you’ve got of being penalised. So let’s explore the risks further to make sure you’re avoiding them. As we’ve said, the main risk you have is getting your site penalised by Google due to things such as spammy links. Spammy links are usually black hat links. The links you might be putting on spammy websites just to build you backlink profile. They need to look and be as natural as possible if you want to do things right. Being penalised will strip your website of its rankings, which can in turn give your website the risk of being banned altogether. The implications of which can be catastrophic for your business. This is why it’s so important to make sure you’re fully clued up on how to do SEO properly if you want to do make sure it’s effective.